● Standard shipping and processing charges are based on order value, although you can save on shipping fees with specially marked Free Shipping gift baskets. Free shipping promos are usually valid for a limited time and will require a coupon code. ● Harry & David’s best coupons are usually promo codes for 10-20% off a minimum order sitewide, or free shipping on category-specific gift basket orders. 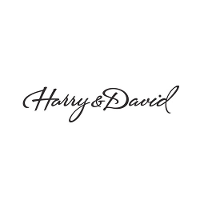 You can refer to the Coupon Center for all active Harry & David coupon codes. ● You can also click through the homepage image slider, which will occasionally feature other limited-time specials and deals. ● The online gift shop has previously offered limited time sales and specials offering as much as 50% off select products. ● Prices of special occasion or holiday gift baskets also tend to go down as the event date draws nearer, so you can check for price drops on select items during these times. Food, treats, and sweets are all essential things to have in your home, especially during the holidays. Harry and David are a classic retailer that offer customers the ability to buy gift baskets, pears and fruits, chocolates and sweets, gourmet food, and gourmet wine entirely through their site. It's perfect for your home or as a gift for a friend or a family member. They also offer clubs that you can join where you'll be sent a basket of recommended goodies every month, such as the Fruit of the Month Club. Once you have placed an order you'll be able to track it through the site or review your purchase history. For most up to date offers check out Harry & David on Facebook and Twitter or contact Harry & David Support for any questions.